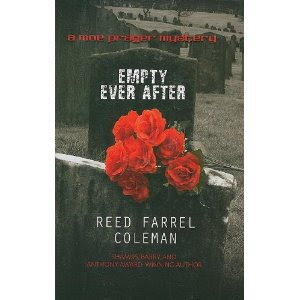 I don't usually review U.S.-based noir fiction here, but I received a copy of Reed Farrell Coleman's 2008 Empty Ever After (not from the publisher, but from the printer of a recent edition, as a printing sample offered to support a quote for a book project I was working on). I'd been curious about Coleman since I've heard a lot of praise for his work, especially from other writers. 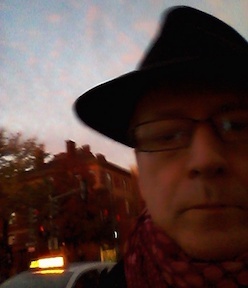 This is the 5th of the 6 (so far) books in the Moe Prager series, featuring ex-cop (and by the 6th novel, ex-private detective) and wine merchant of that name, set in the '80s for the most part and in Brooklyn and Long Island. My mistake was in picking up the 5th novel in the series: as I've since read elsewhere, a lot of the impact of Empty Ever After relies on a reader's prior knowledge of these characters and their history. It's not that there is prior knowledge required (Coleman does a good job of filling in the blanks, in conversation and flashbacks). It's that by this installment of the series, who the suspects might be and what their history and emotional baggage is with Prager are well established for a regular reader and not so well established for a new reader. In terms of the quality of the writing, the setting, the vivid characters, and the ethnic background, Coleman's Prager novel reminds me of Jerome Charyn’s Isaac Quartet, and excellent series that can also be hard to pick up in the middle. 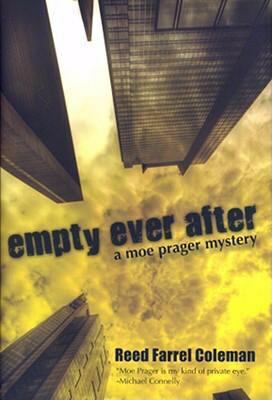 Where Coleman's Empty Ever After differs from most noir-detective writing is in the focus on Prager and his family There is not really a "case" here, only a threat to Prager's ex-wife and to the detective himself. That narrows the focus, especially in a first-person narrative. And the wider focus (on local politics and corruption, on the police, both corrupt and honest, and on the social sphere) is to some extent carried over from the previous novels rather than directly investigated here. The story is very complicated, with frequent flashbacks and side stories, but basically concerns the disturbance of several graves, the ghostly reappearance of Moe's ex-wife's dead brother (around whom an earlier novel in the series focused), and a host of people who hate Moe for one reason or another. Although the ending is well prepared for, it seems abrupt to me, and a death that occurs in the ensuing violence seems almost offstage, though it happens in the reader's presence. So other reviewers will have to offer a more complete picture of Coleman's Prager series and his other novels; I can offer only praise of the writing and a caution: don't pick up the series in the middle. I found three coves for this book: the skyscraper one (on the edition I have) and two graveyard ones. The skyscraper one is not really appropriate, given the often rural and suburban settings; of the other 2, I think I prefer the one without color, giving a sense of the bleakness of the story Coleman tells as well as the theme of the living presence of the dead. 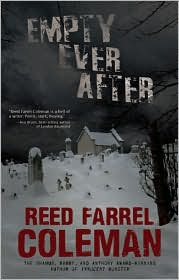 Though there has been much positive reviewing of the Preger series, I gave it up after the third book. The character didn't appeal to me and the plots were either thin or overly burdened with twists that made me think the author was trying too hard - or not hard enough. I'm not at all sure your experience not having read the previous books made much difference.